Too often I don’t provide commentary or my opinion to the infographics I blog about. I think this is in part my own insecurities about what I have to say and also that there are many experts out there who do it so much better like Alberto Cairo and Robert Kosara. However, I want to go out of my comfort zone to discuss this beautiful infographic from Chiqui Esteban. I have always loved the kinds of infographics that tell a story more so than the ones that just provide you a lots of graphs, statistics and numbers. 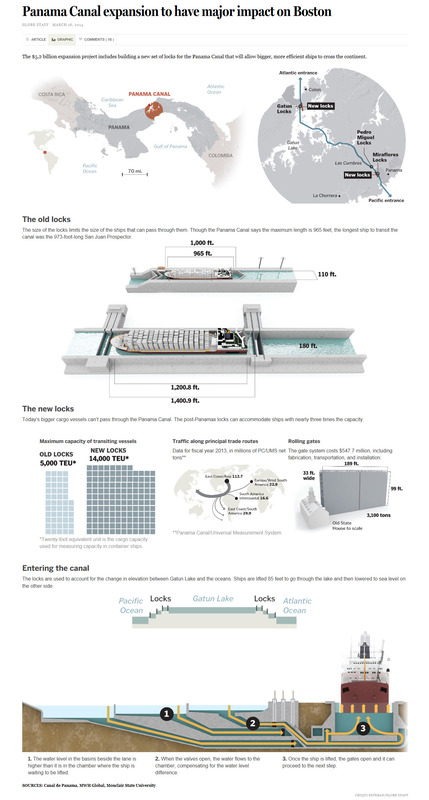 Mr. Esteban has told a beautiful story with his graphic, which was published recently in The Boston Globe, regarding the Panama Canal Expansion. I feel as we rely more on toolkits to create infographics, the art of telling a story with an infographic is getting lost in what, I feel, are paint-by-numbers infographics. We need more infographics like this one and other ones Mr. Esteban has published in the past to keep the bar raised on what a great infographic is. I plan on revisiting other works by Mr. Esteban in the near future. So, there it is. I took a bit of a risk and gave my opinion. I hope you enjoy this story and infographic as much as I do. Jose Maria “Chiqui” Esteban Gallego (aka Chiqui Esteban) originates from Cadiz (Spain). He currently works as a Visual Journalist at The Boston Globe, which is a regional newspaper serving New England area. He works on both print and online platforms, but is more focused in interactive graphics for BostonGlobe.com and boston.com. 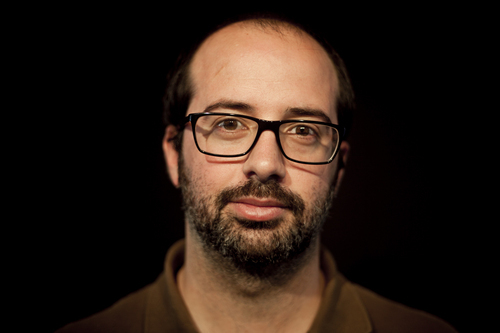 Chiqui has more than ten years of experience in visual journalism and infographics. He has won more than 45 international infographics awards including Malofiej, SND, European Newspapers Awards and ÑH (regional SND awards). He has worked at local, regional, national and international media as an intern, designer, coordinator, department director and consultant, for print, online and tablet platforms. His professional web site is http://chiquiesteban.com. The Boston Global story, by Katie Johnston, follows this infographic. Source: Katie Johnston, The Boston Globe, March 16, 2014, http://www.bostonglobe.com/business/2014/03/15/panama-canal-expansion-have-major-impact-boston-worldwide-shipping/lqz3iihcfpHWdTMS9ePDKO/story.html. COLON, Panama — Deep inside the massive hole at the Atlantic Ocean entrance to the Panama Canal, thousands of workers who appear to be the size of ants build the equivalent of a shopping mall every day. Construction crews up and down the canal have worked around the clock for much of the past six years, racing against obsolescence as they expand the 100-year-old passageway to accommodate today’s megaships. When the project is completed over the next two years, the canal will be able to handle hulking ships capable of carrying 14,000 20-foot containers, nearly triple the size it can now accommodate. The stakes are high for both the Panama Canal, which is rapidly losing shipping traffic to the larger Suez Canal in Egypt, and the eastern ports of the United States, which, along with Asia, have the most ships using the passage connecting the Atlantic and Pacific through the Isthmus of Panama. In Boston, the canal expansion, combined with a plan to dredge Boston Harbor to accommodate larger ships, could generate thousands of new jobs and more than $4 billion in new business at Conley Terminal, according to the Massachusetts Port Authority. In a sign of how significant the Panama Canal expansion could be to the state economy, Governor Deval Patrick plans to tour the canal Tuesday with Transportation Secretary Richard Davey and several Massport officials. A ship passed through the canal’s locks. Local exporters such as International Forest Products LLC could particularly benefit from the canal expansion. A unit of the Kraft Group, which also owns the New England Patriots, International Forest Products ships most of its US-sourced goods such as recycled paper and wood pulp through the canal, and using larger ships would make operations more efficient, said Dan Moore, the chief operating officer. When the Panama Canal opened in 1914, allowing ships to avoid sailing around the tip of South America, it considerably shortened the time to transport goods between Asia and the East Coast of the United States. Today, about 3 percent of global maritime trade passes through the canal each year. Some 40 ships a day make the 50-mile journey between oceans, taking up to 10 hours and costing each ship roughly between $200,000 and $400,000. One day last summer, locals and tourists crowded the fourth-floor viewing deck at the Miraflores Locks, on the Pacific side, watching a refrigerated Seatrade vessel called the Mexican Bay enter the canal. Water poured into one chamber of the locks, slowly raising the ship to the level in the channel leading to the canal. In less than 10 minutes, the water levels on both sides were even; the 700-ton gate opened, and locomotives on tracks on both sides of the ship guided it through. The Panama Canal is a man-made link between the Atlantic and Pacific oceans. It vastly shortened the time required to transport goods between Asia and the US East Coast. Ships are being built much bigger than they were a century ago, as carriers strive to save money by loading more goods on each vessel. Nearly a quarter of the world’s container ships, accounting for more than half of total container capacity, can’t squeeze through the Panama Canal today, according to Clarksons, a British shipping services provider. 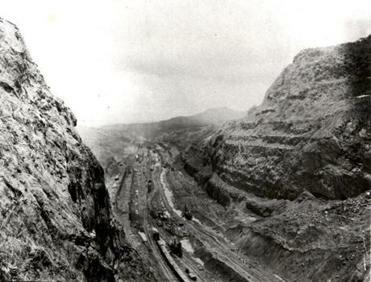 As a result, the Panama Canal has lost market share to the Suez. Companies sailing between Asia and the Eastern United States increasingly favor the Egyptian canal, which connects the Red Sea and the Mediterranean Sea, because it can comfortably handle the largest ships out there. Denmark-based Maersk Line, the biggest container shipping company in the world, announced last year that it would stop using the Panama Canal in favor of the Suez. 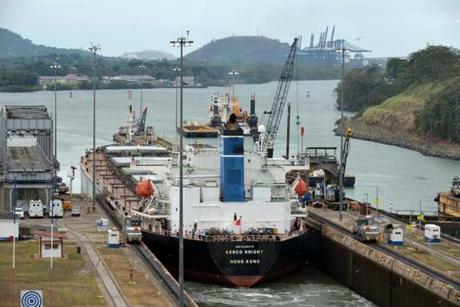 To accommodate bigger vessels, which are wider and longer, and ride lower in the water, the Panama Canal Authority embarked on a $5.2 billion expansion in 2007 that will double the capacity of the canal. The makeover involves constructing a new set of locks, dredging the entrance and navigation channels, digging a new access channel on the Pacific side, and raising the water level. The new locks will use the equivalent of 19 Eiffel Towers’ worth of rebar and enough concrete to construct a major city’s worth of 20-story buildings. When the expansion is completed, now scheduled for early 2016, the canal would be able to handle about 97 percent of container ships in service or on order. The expansion would open up the canal to different types of ships, namely liquefied natural gas tankers, and improve access to Asian markets for booming US energy production. It would also give companies shipping to the United States a cheaper alternative. Carriers transporting jewelry and electrical parts from Hong Kong to New York, for instance, may opt to send ships through the new and improved Panama Canal instead of landing at West Coast ports, unloading containers, putting them on trucks or trains, and carrying them 3,000 miles. 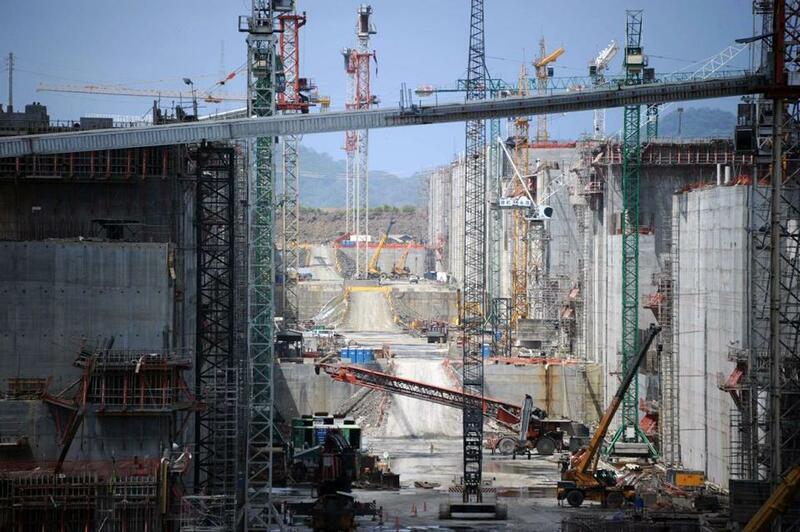 “It’s a game changer,” said Oscar Bazan, manager of marketing and forecasting for the Panama Canal Authority. But many US ports, including Boston, are not yet ready to play. Only about 10 of 150 commercial US ports can handle the largest, fully loaded ships that will be able to pass through the Panama Canal when the expansion is complete, according to the American Association of Port Authorities. On the East Coast, Baltimore and Norfolk, Va., are ready for the bigger “post-Panamax” ships; Miami and New York/New Jersey are making billions of dollars worth of improvements. In Boston, the 16th-largest container port on the East Coast, according to Clarksons, the Massachusetts Port Authority is pushing a $300 millionproject to dredge the channels to accommodate ships that can carry the equivalent of 10,000 20-foot containers, or TEUs (for 20-foot-equivalent units). Currently, the largest ship that can call at the Port of Boston carries 7,000 TEUs. 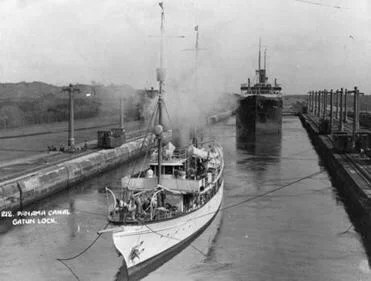 Ships passed through the Panama Canal’s Gatun Locks in Jan. 1, 1915. The canal opened in 1914 and was designed for ships much smaller than many of those built today. The Massachusetts Department of Environmental Protection approved the dredging in July, and Massport is waiting for Congress to appropriate $170 million, which could happen this spring. Massport and the state will split the rest of the cost. Design and construction would take about five years, putting the earliest date the port could be ready for post-Panamax ships at 2019. There’s a lot riding on the expansion. Increased cargo volumes could make the Port of Boston profitable for the first time, said Thomas Glynn, chief executive of Massport, as well as add to the 7,000 jobs at the port, including longshoremen, ship-line workers, and Massport staff. The dredging and related projects, including bigger cranes and longer berths at Conley Terminal, would allow the port to handle more than twice as many hides, furs, and lumber exports; beer, wine, and furniture imports; and frozen seafood traveling both ways. An expanded Boston port also could capture New England-bound cargo that comes into the country through New York, which makes up about a third of all New England imports, according to the US Army Corps of Engineers, which would oversee the dredging. That could mean lower prices for local consumers. “The more difficult it is to get here, the more expensive it is,” said William Eldridge, president of the Boston Shipping Association. The expansion also is crucial to retaining the two major shipping lines that call on Boston, COSCO and the Mediterranean Shipping Co. The dredging project might not necessarily mean these companies will do more business out of Boston, said Allen Clifford, executive vice president of Geneva-based Mediterranean Shipping Co., but having the option to use larger ships makes it a more attractive port.